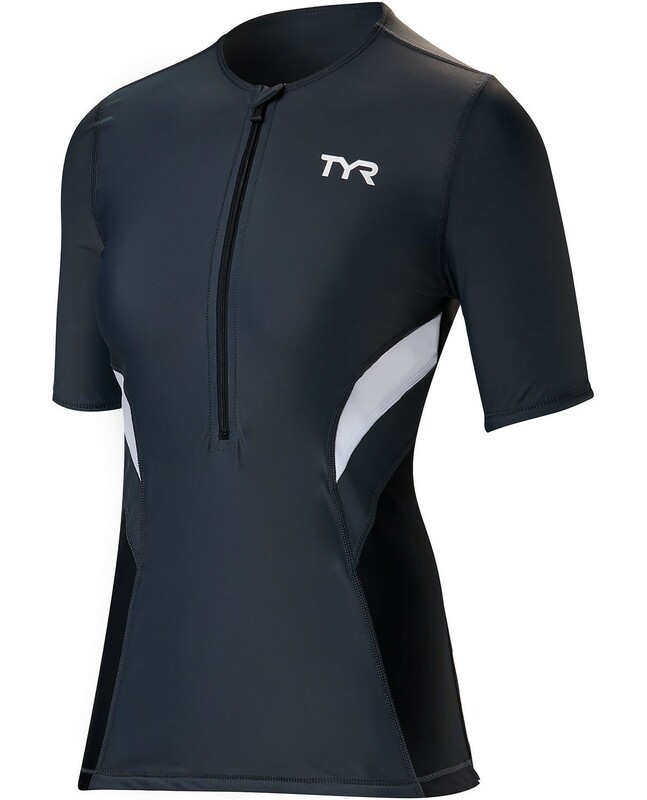 Dominate the disciplines in the TYR Women's Competitor Short Sleeve Top. 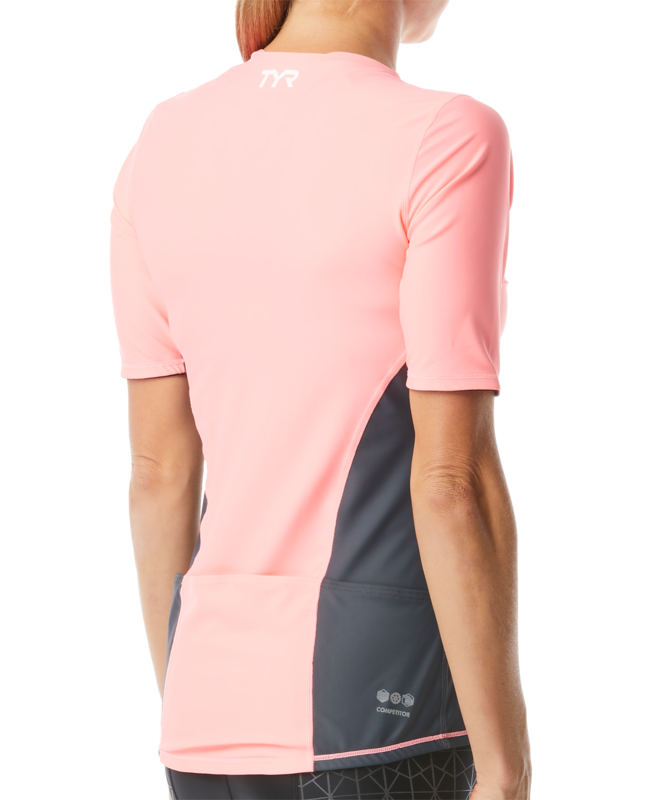 Constructed from our advanced Competitor woven technology, the TSSCOF6A offers stretch, recovery and durability. 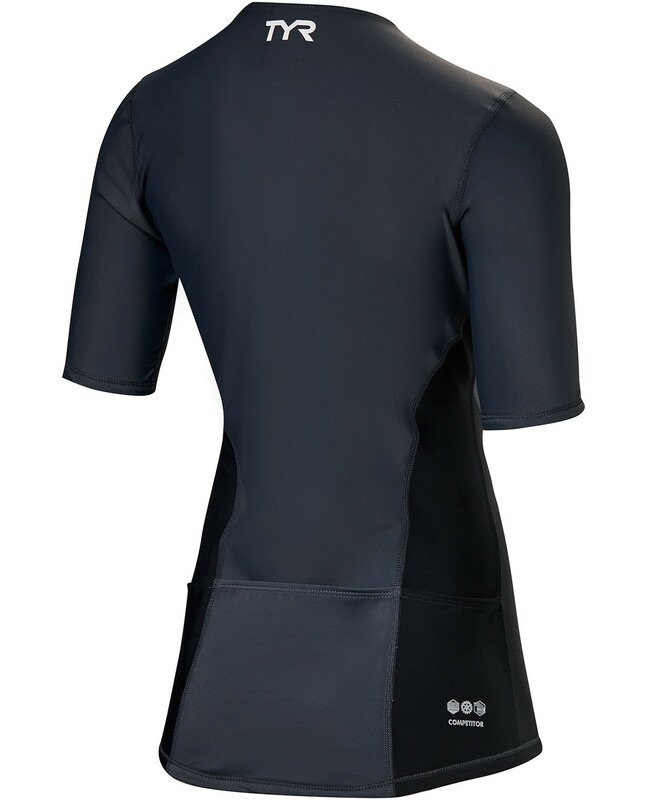 Equipped with specialized compression webbing for increased blood flow and maximized muscle performance, this comfortable short sleeve top exceeds the bounds of apparel. 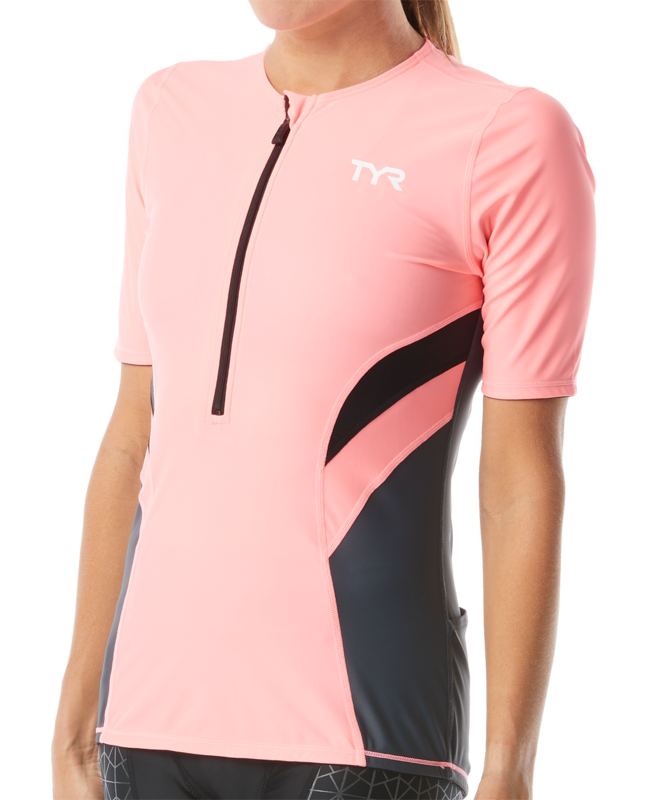 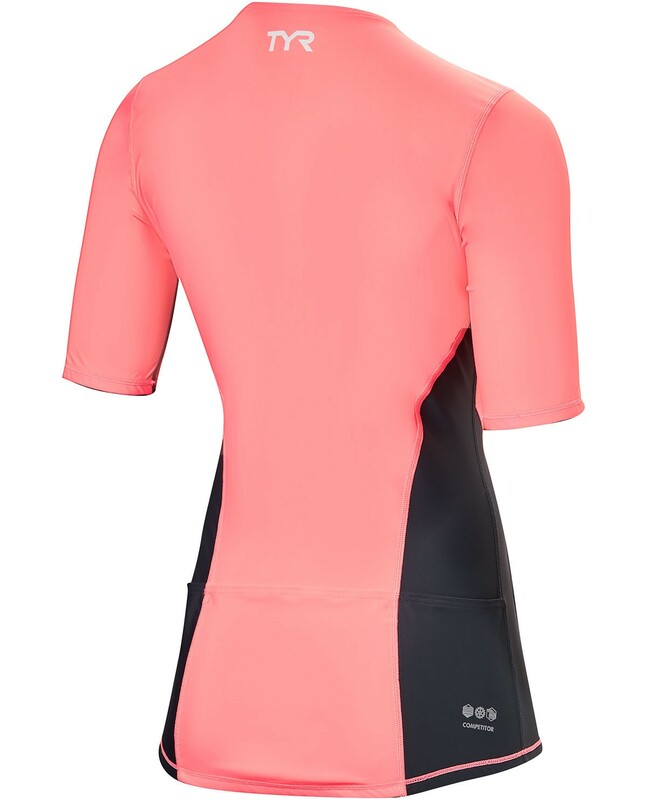 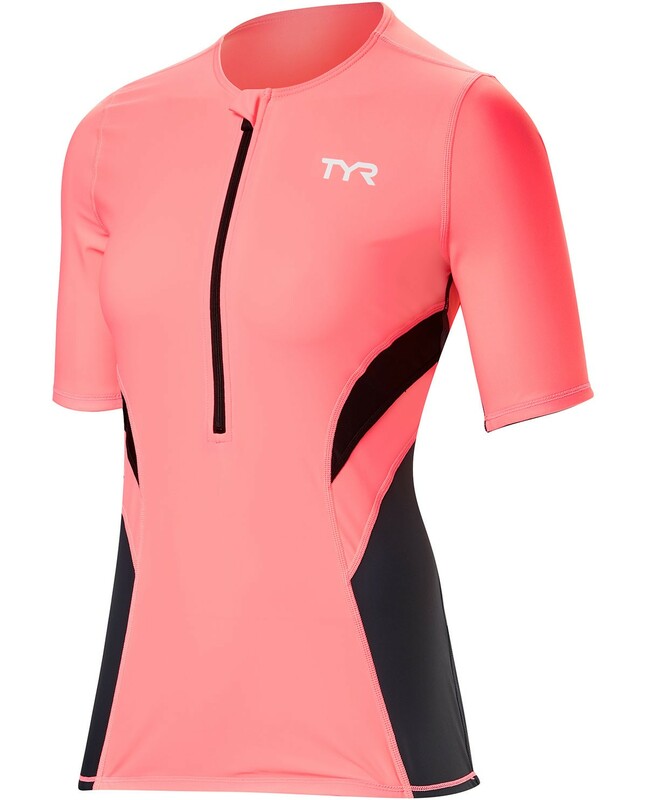 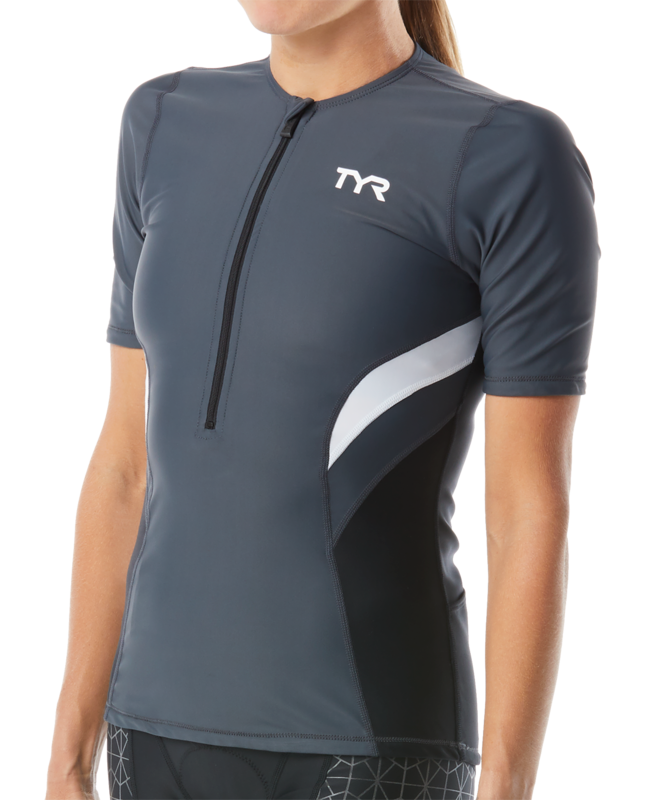 In addition to lightweight, quick-drying and ultra breathable fabric, the TYR Womenï¿½s Competitor Short Sleeve Top includes UPF 50+ protection, back pocket storage and an 11" locking zipper.